From smartphones and high-definition TVs to digital displays, display technology has advanced in leaps and bounds to become ubiquitous the world over. This technology is projected to evolve further and play an even deeper role in our daily lives — at least that’s what the developers at Pioneer Corp. think. One of the areas where consumers are likely to encounter Pioneer’s display technology in the near future is when they are driving. Pioneer, based in Kawasaki, derives about 70 percent of its sales from car electronics. Its goal is to design a heads-up “infotainment” system for drivers that will display navigation and other information right on the windshield. 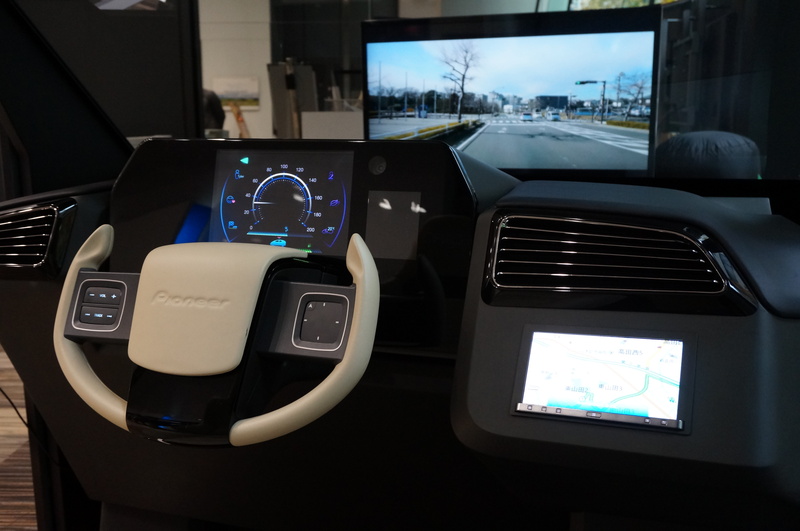 “It’s like the entire windshield is working as a display device,” said Jun Osugi of Pioneer’s OEM car electronics division. As well as displaying information on speed and distance, digital images pop up to match the real-life view to ensure the driver has a safe and smooth journey. For instance, if another vehicle is approaching along a narrow road where it is difficult to see ahead, the system will alert the driver and show exactly where it is. Data on recommended speeds and open parking spots can also be shown. 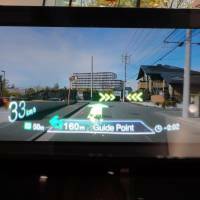 As technology advances, motorists will be able to obtain huge volumes of information while driving, so it is important to organize the flow, said Osugi. “We’d like to provide the right amount of the right information at the right time,” he said. Pioneer also has a new kind of steering wheel it calls a “Feely-Pad.” It comes with a touch pad controlled by the right thumb. Drivers can use the pad to control what’s on the center console display. It also works with the windshield, for instance, by vibrating to signal an upcoming hazard or to advise caution. Pioneer aims to make this high-tech driving experience commercially available in 2018. Another innovation in the works is a system that uses the rearview mirror in conjunction with a voice-activated concierge service. In November, Pioneer and NTT Docomo Inc. announced they would jointly produce a voice-based navigation service using Pioneer’s auto cloud database and Docomo’s voice concierge technologies. 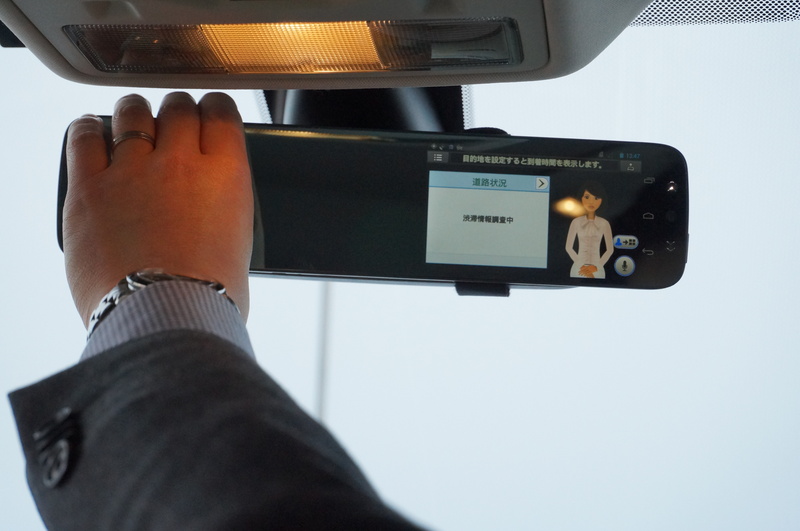 The service is used with a rearview mirror containing a touch panel on the right side that is powered by Google’s Android OS. The panel, which occupies about one-third of the mirror, displays the image of a concierge that a driver can command to get information like directions, travel updates or news. 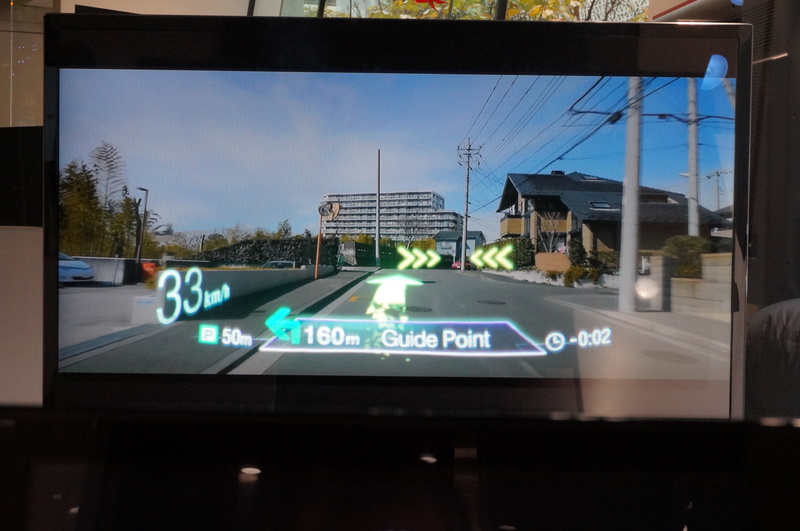 Gen Hirohama of Pioneer’s Smart Vision Business Development Department said although many drivers are using smartphones for navigation, they are not necessarily ideal because they are small and vulnerable to heat. “We’ve been producing car electronics for a long time, so we wanted to come up with something that is not a smartphone but something that people can use casually,” Hirohama said. Pioneer identified rearview mirrors as a good candidate for this concept because they come with all vehicles and do not disrupt the interior design. Although it’s natural to ask whether something that can block the driver’s view is dangerous, Hirohama claimed the device would display images only when the driver needs them. From a marketing standpoint, the company figures that could be as early as this fall. 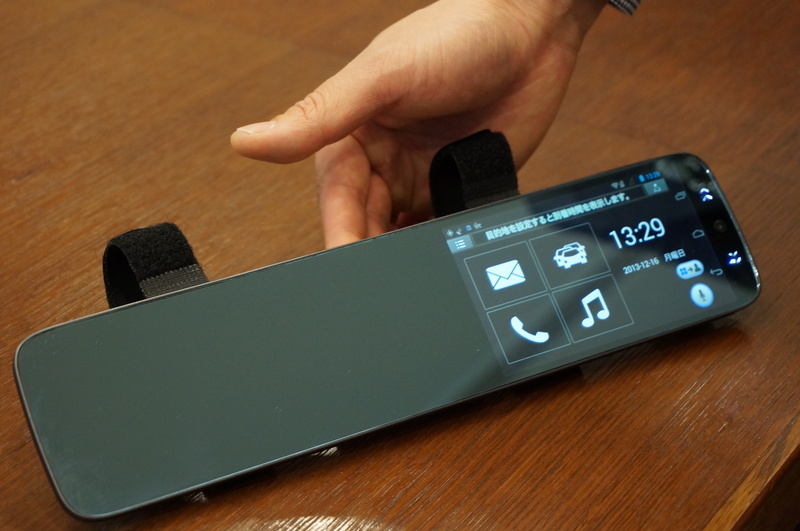 Besides automobile interiors, Pioneer’s display technologies are also likely to be encountered when shopping or walking in public spaces in the future. 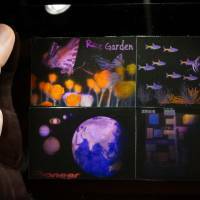 One prominent example is a new technology that projects images onto transparent surfaces. “We thought there would be more ways to be creative about finding uses for displays if we could project images onto transparent glass,” said Takamasa Yoshikawa, general manager of the R&D division. “Fusing” images with transparent surfaces or the objects behind them can create new spatial projections, Yoshikawa said. 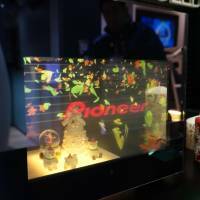 An example emerged in Tokyo in December at Pioneer’s showroom in the Ginza district, where images of butterflies, leaves and other objects were projected onto a transparent 12-inch (30-cm) display. Behind it were Christmas ornaments, and the superimposed images jazzed up the entire presentation. The technology drew a lot of looks last year at the Combined Exhibition of Advanced Technologies (CEATEC), the nation’s biggest electronics show. 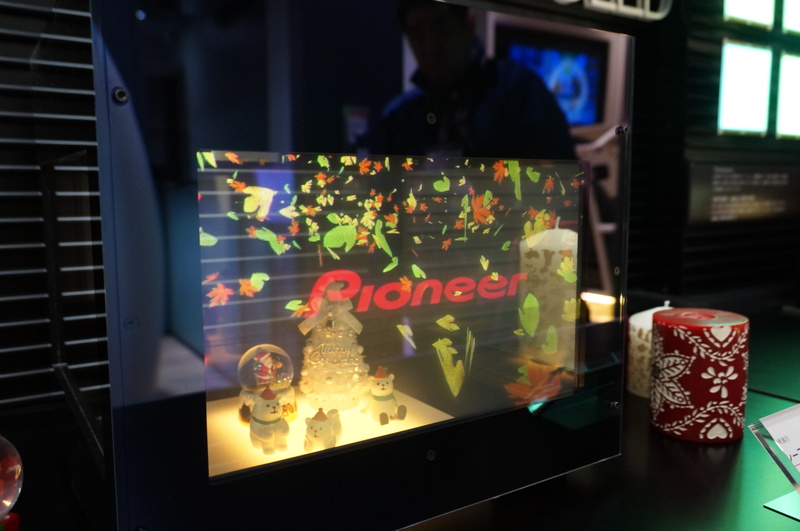 Pioneer showcased the see-through technology by projecting images through four 32-inch displays. “From the first day until the last, crowds of people kept coming,” to look at it, Yoshikawa said. Many CEATEC attendees have shown an interest in using the projection technology to display products at department stores and or images at public events, Pioneer said. Another kind of technology Pioneer wants to promote is its holographic image printer. Until now, creating holographic images required a darkroom and extensive preparation time. But Pioneer has created a small holographic printer that can more quickly print holograms just from 3-D graphics or images from motion pictures. 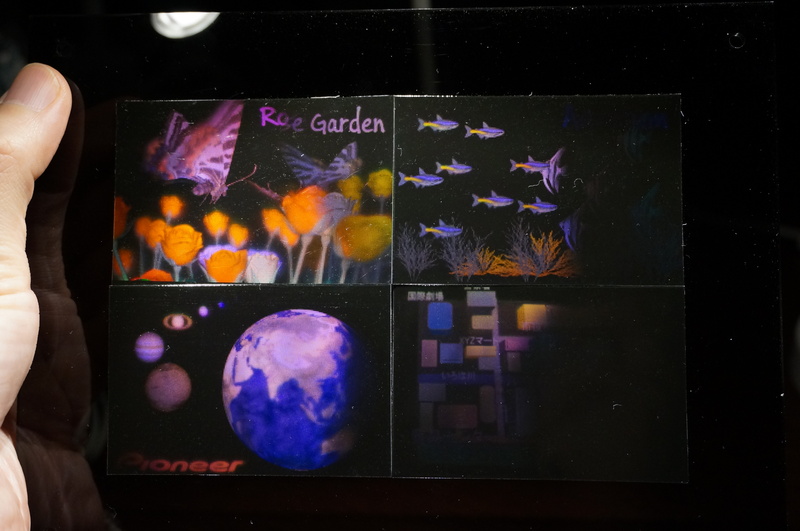 While printing a hologram used to take hours, Pioneer’s invention can print a 7.56 cm by 5.04 cm sheet in 90 minutes. In October, the company joined hands with a hospital in the Roppongi district to launch a unique 3-D printing business that turns out holographic images of babies while they are still in the womb, using sonogram data. 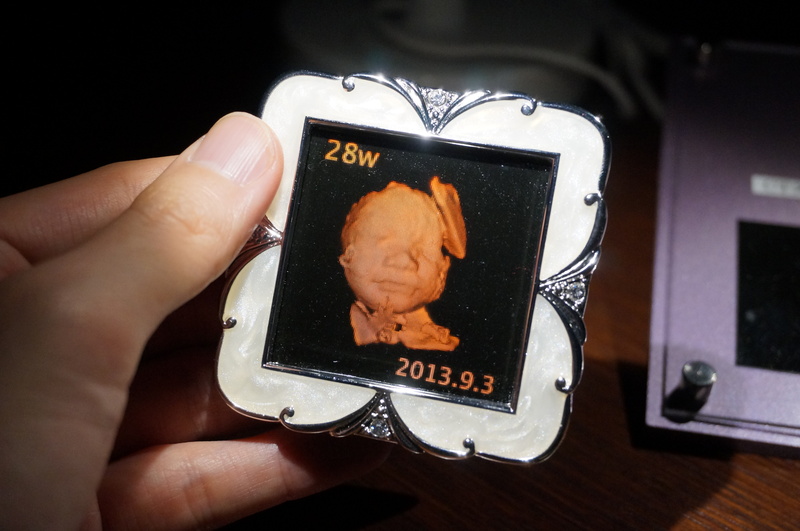 The result is holographic images of the babies’ faces. The company is also looking at other business opportunities, such as printing holograms for use in combating counterfeiters of identification cards. Advances in Progress is a new series appearing on the second Monday of each month. Articles will spotlight new Japan-made technologies that are still being researched and developed but which are expected to be put into practical use in the near future.